The Department of Justice has increased its use of search warrants, including “sneak-and-peek” warrants, in lieu of subpoenas, in high-profile white-collar crime cases. The authors, former assistant U.S. Attorneys, criticize the practice as needlessly harmful in some instances. They argue that the DOJ should enact internal guidelines requiring prosecutors to consider the necessity for the warrant, the harm to the business or third parties caused by its execution, and safeguards to ensure that employees and bystanders are informed of their rights. In November of 2010, federal agents executed searches at a number of hedge funds in New York City as part of the federal government’s crackdown on insider trading. The searches sent shock waves throughout the hedge fund community. Long thought to be an investigative tactic against organized crime, narcotics trafficking, and terrorism, search warrants are now a well-established part of the prosecutor’s arsenal against white-collar crime. Moreover, based on the relative ease and common usage of grand jury subpoenas in white-collar cases, many practitioners and probably many federal judges may operate on a misconception that search warrants are only used when there is some exigency. This article discusses two issues relating to the use of search warrants in white-collar cases. First, we discuss the absence of any guidelines for federal prosecutors todetermine when it is appropriate to use a search warrant to collect documents or physical evidence from an ongoing business as part of a white-collar investigation. It is obviously devastating for a legitimate business, such as a hedge fund or a broker-dealer, to have a search warrant executed on its premises, as it attracts great public attention and puts the business under a cloud of suspicion. The tool of investigation itself can be punitive, even in the absence of any finding of guilt. 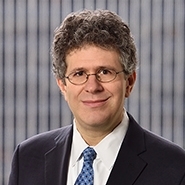 Although many prosecutors state that care is taken not to bring a business into public disrepute unnecessarily, neither the rules nor statutes that govern search warrants, nor even the internal procedures followed by prosecutors in the Department of Justice, lay down any standard that permits prosecutors to determine when a search warrant is an appropriate investigative step in a white-collar investigation. Adequate safeguards to prevent the misuse of an ordinary search warrant should be instituted by the government.